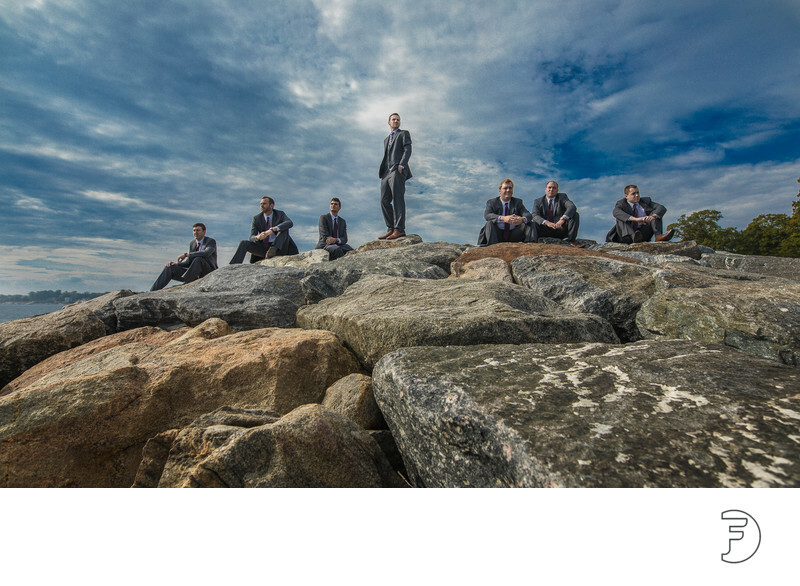 We had a few moments photographing the groom and his groomsmen before their beautiful outdoor ceremony at Roton Point Association in Norwalk, CT. The rocky seashore offered a dramatic foreground for their photos, and the cloudy sky didn't disappoint either. Jewish wedding. Jewish wedding traditions. Location: 15 Pine Point Rd, Norwalk, CT 06853.